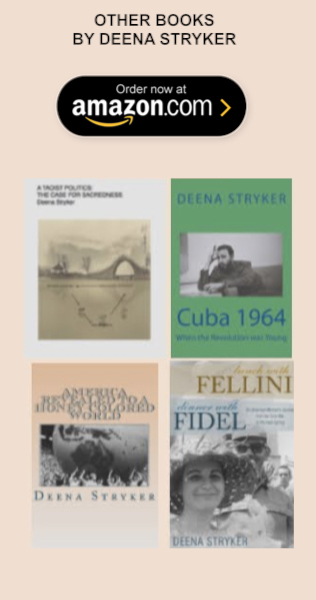 Since the time of the French Revolution, the left-right divide has focused mainly on attitudes toward equity within nation-states and since the Russian revolution it has included competition between capitalism and socialism on the world stage. With the demise of the Soviet Union, the West, which touts competition, was confident it had eliminated the notion that nations, like kindergartners, should cooperate to the benefit of all. For almost a decade, our man in Moscow, the tippler Boris Yeltsin, solidified that conviction, as the majority lost much of their safety nets while a few in the new Russia got richer, as competition was anointed as the highest good by oligarchs like David Browder, who thought they could even get away with not paying taxes to the new Russian State. Strongman Vladimir Putin started to change all that the minute he stepped into Yeltsin's wornout shoes: the oligarchs could keep their ill-gained wealth (they bought up the individual shares that had been distributed to financially unsavvy Russian citizens to gain control of the country's major assets) as long as they kept their noses out of the new president's plan to make his country a good place to live for everyone. By the time Vladiimir Putin had been voted in as President of the Russian Federation twice (in 2000 and 2004), it was becoming clear that the United States was not adhering to the promises made to Mikhail Gorbachev after the fall of the Berlin Wall in 1989, that if the Soviet Union agreed to the reunification of Germany, NATO would not advance beyond that new country's eastern border. At the yearly Munich Security Conference in 2007, Putin denounced NATO's drang nach Osten, which for Russians represents a repeat of previous invasions by Germany through the Eastern European corridor. To no avail. NATO has continued its march right up to Russia's border, from the Baltic to the Black Sea. 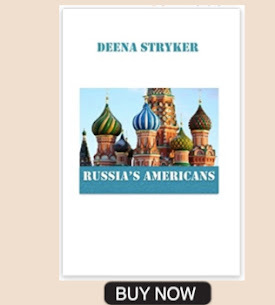 And in 2014, with an eye to eventually enrolling Russia's neighbor, Ukraine, in the Western alliance, we (according to videod bragging by Victoria Nuland, Clinton's secretary for Eastern European Affairs, to the Washington Press Club in December 2013), spent five billion dollars supporting 'pro-democracy' groups, efforts which, in Febrary 2014 culminated in 'The Maidan', weeks-long demonstrations backed by armed Neo-Nazi militias ressuscitated from World War II that forced the pro-Russian president to flee. Since then, the West has claimed that it was Russia that infringed on the post World War II rules, which stipulated that the agreed-upon boundaries of Europe were inviolate (never mind Yugoslavia), by backing the Russian speaking Donbas region that refuses to recognize the coup-installed Kiev government, and organizing a referendum in Crimea. Never mind that at the end of World War II, Crimea was part of the Soviet Union until it was gifted to Ukraine by Khruschev in 1954! And never mind that Russia is entitled to defend its warm water naval base in Sebastopol, which was created by Catherine the Great in the eighteenth century, to prevent NATO from adding a Black Sea fleet to the tanks lining Russia's land border with Europe! The US's determination to maintain its hegemony over the world is closely linked to its devotion to competition over cooperation, and represents the twenty-first century front-line of the perrenial left-right divide: The world is one big community and Russia, together with its close ally China and a number of other large countries, believes that cooperation is the best way to ensure a fair distribution of wealth across borders. 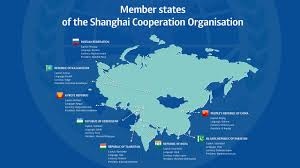 Unremarked by the US media, as the G7 was under way, the Shanghai Cooperation Organization, that groups like-minded nations, was holding its 18th annual summit in Shanghai. The organization was founded in 2001 by the leaders of China, Kazakhstan, Kyrgyzstan, Russia, Tajikistan, and Uzbekistan and now also includes India and Pakistan. Iran, Aghanistan, Belarus, Mongolia are observers, and the position of Dialogue Partner was created in 2008 for Armenia, Azerbaijan, Cambodia and Negal, adding Turkey in 2009. And while President Trump was lashing out at the G7, in Shanghai, the other authoritarian leader he claims to be friends with, China's Xi Jin Ping, was discussing cooperation at an organization that covers three-fifths of the Eurasian continent and nearly half of the human population.